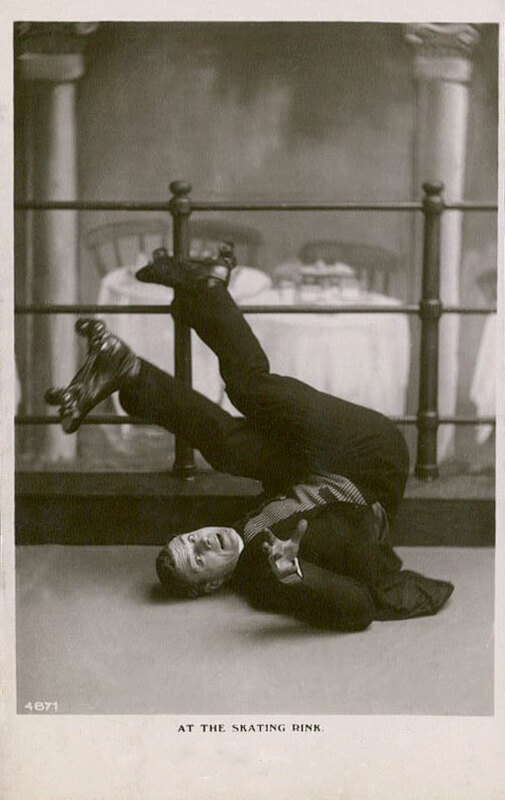 A cute postcard of a gent who still manages to look dapper while falling on his back! It would have been funny to add a hat rolling away. This entry was posted on Monday, June 1st, 2015 at 12:23 am	and tagged with 1900s-1910s, accident, Funny, skating and posted in Humorous, Postcards. You can follow any responses to this entry through the RSS 2.0 feed. Ha ha! Wrong time, wrong chap!